Mayall 4m telescope inside its protective dome at Kitt Peak National Observatory, Arizona. 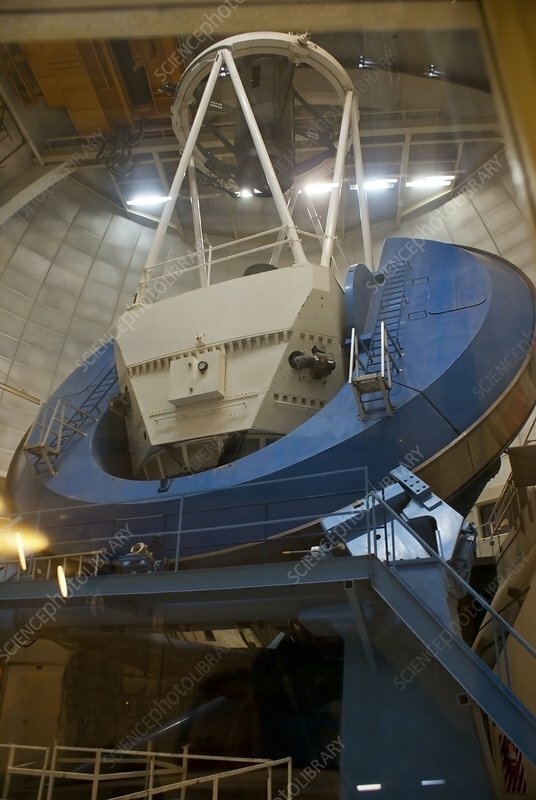 The reflecting telescope has a 4m-diameter primary mirror, supported within the white structure at centre. A secondary mirror in the Cassegrain design is supported at the prime focus at the top of the structure. The telescope gimbals in an equatorial mount (blue).